Carleton Music’s “singer-songwriter” performance-studies stream is unique in Canada, and one of the program’s most dynamic areas of growth and innovation. 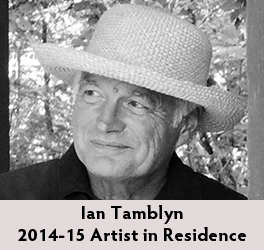 We are pleased to announce the appointment of Ian Tamblyn as FASS Artist-in-Residence during the 2014-15 academic year. Latest News: Ian Tamblyn, wins Folk Music Ontario award! Folk Music Ontario announced the grand prize and sub-category winners of the 20th annual Folk Music Ontario ‘Songs From the Heart’ songwriting competition, at The Folk Music Ontario Conference which took place at the Westin Bristol Place in Toronto, October 16-19, 2014. • the Colleen Peterson Songwriting Award. created more than 35 albums and CDs of music featuring his songs and instrumental compositions. John Kelman, All About Jazz, December 30, 2009.